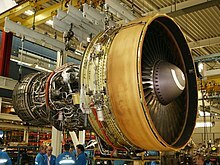 The National Transportation Safety Board determines that the probable cause of this accident was the inadequate consideration given to human factors limitations in the inspection and quality control procedures used by United Airlines' engine overhaul facility which resulted in the failure to detect a fatigue crack originating from a previously undetected metallurgical defect located in a critical area of the stage 1 fan disk that was manufactured by General Electric Aircraft Engines. The subsequent catastrophic disintegration of the disk resulted in the liberation of debris in a pattern of distribution and with energy levels that exceeded the level of protection provided by design features of the hydraulic systems that operate the DC-lo's flight controls. The Safety Board believes that under the circumstances the UAL flightcrew performance was highly commendable and greatly exceeded reasonable expectations. ^ a b c d e NTSB 1990. ^ a b c NTSB 1990, pp. 1–2. ^ a b c d e f 加藤 2001, pp. 218–219. ^ NTSB 1990, p. 11. ^ a b c NTSB 1990, pp. 11–12. ^ a b c d e f g h i j k l m NTSB 1990, pp. 112–113. ^ a b c d e f g h i j k l m 加藤 2001, pp. 223–225. ^ a b c d e f g h i j NTSB 1990, p. 1. ^ a b c 加藤 2001, p. 219. ^ "No Left Turns", p. 1. ^ a b c d e f g h "No Left Turns", p. 2. ^ a b c d Haynes 1991, p. 6. ^ Haynes 1991, p. 1. ^ a b 加藤 2001, pp. 242–243. ^ a b c NTSB 1990, pp. 1–3. ^ a b 加藤 2001, p. 221. ^ a b c d e f g h 加藤 2001, p. 222. ^ 加藤 2001, pp. 221–222. ^ a b c d マクファーソン 1999, p. 326. ^ フェイス 1998, p. 258. ^ フェイス 1998, pp. 257–269. ^ a b c d e f 加藤 2001, p. 223. ^ マクファーソン 1999, pp. 322–362. ^ a b フェイス 1998, pp. 258–259. ^ a b c d e f g h i NTSB 1990, p. 3. ^ フェイス 1998, pp. 260–201. ^ フェイス 1998, p. 261. ^ a b 加藤 2001, p. 225. ^ フェイス 1998, p. 260. ^ a b c d e f 加藤 2001, p. 226. ^ フェイス 1998, p. 262. ^ a b c d e f g 加藤 2001, p. 228. ^ a b c d e f g h i 加藤 2001, p. 227. ^ "Aviation Safety Network CVR/FDR", p. 3. ^ a b "Aviation Safety Network CVR/FDR", p. 4. ^ a b c NTSB 1990, p. 22. ^ a b 加藤 2001, p. 228–229. ^ a b c d e f g 加藤 2001, p. 229. ^ "Aviation Safety Network CVR/FDR", p. 8. ^ 加藤 2001, pp. 229–230. ^ a b c d e f g 加藤 2001, p. 230. ^ "Aviation Safety Network CVR/FDR", p. 10. ^ a b 加藤 2001, p. 231. ^ a b c 加藤 2001, pp. 231–232. ^ a b c "Aviation Safety Network CVR/FDR", p. 11. ^ a b c 加藤 2001, pp. 232–234. ^ 加藤 2001, p. 234. ^ a b c "Aviation Safety Network CVR/FDR", pp. 12–13. ^ a b c NTSB 1990, p. 23. ^ a b NTSB 1990, p. 19. ^ a b c d e 加藤 2001, p. 236. ^ a b c d NTSB 1990, p. 5. ^ a b 加藤 2001, p. 235. ^ 加藤 2001, pp. 235–237. ^ a b c d 加藤 2001, p. 237. ^ Conroy 2005, p. 2. ^ a b c d 加藤 2001, p. 239. ^ 加藤 2001, pp. 237–238. ^ フェイス 1998, p. 265. ^ a b マクファーソン 1999, p. 363. ^ a b マクファーソン 1999, p. 364. ^ マクファーソン 1999, pp. 362–365. ^ フェイス 1998, pp. 266–267. ^ Conroy 2005, p. 1. ^ a b NTSB 1990, p. 35. ^ NTSB 1990, pp. 20–21. ^ a b c d e f g h i j 加藤 2001, p. 238. ^ a b c d Larson, Metzger & Cahn 2006, p. 491. ^ NTSB 1990, p. 37. ^ 加藤 2001, pp. 237–239. ^ a b c 加藤 2001, p. 240. ^ 加藤 2001, pp. 240–241. ^ a b c d e f g h i j k 加藤 2001, p. 241. ^ Conroy 2005, pp. 3–4. ^ Conroy 2005, p. 3. ^ a b Conroy 2005, pp. 4–5. ^ Lenz, R.W. (1990). “In memory of John Kenneth Stille”. Macromolecules 23 (9): 2417–2418. doi:10.1021/ma00211a001. http://pubs.acs.org/doi/abs/10.1021/ma00211a001. ^ a b c d e Haynes 1991, p. 10. ^ フェイス 1998, p. 266. ^ Conroy 2005, p. 5. ^ a b c d フェイス 1998, p. 185. ^ a b c d NTSB 1990, p. 6. ^ a b NTSB 1990, pp. 6, 10. ^ a b NTSB 1990, pp. 23–24. ^ NTSB 1990, p. 24. ^ NTSB 1990, p. 21. ^ NTSB 1990, pp. 6, 73. ^ NTSB 1990, pp. 6–9. ^ a b NTSB 1990, pp. 74–75. ^ a b c d e 加藤 2001, p. 243. ^ a b c d e f 加藤 2001, p. 248. ^ 加藤 2001, p. 244. ^ a b c d フェイス 1998, p. 186. ^ 加藤 2001, pp. 245–246. ^ a b c 加藤 2001, p. 249. ^ NTSB 1990, p. 47. ^ a b c d 加藤 2001, p. 242. ^ NTSB 1990, pp. 32–35. ^ NTSB 1990, p. 75. ^ 加藤 2001, pp. 241–242. ^ a b c d e 加藤 2001, p. 245. ^ a b フェイス 1998, pp. 185–187. ^ a b フェイス 1998, pp. 185–186. ^ フェイス 1998, pp. 186–187. ^ フェイス 1998, p. 187. ^ フェイス 1998, pp. 187–188. ^ 加藤 2001, pp. 246–248. ^ 加藤 2001, p. 246. ^ a b フェイス 1998, p. 188. ^ a b NTSB 1990, p. 45. ^ a b 藤原 1996, p. 5. ^ a b NTSB 1990, pp. 49–50. ^ a b NTSB 1990, p. 79. ^ a b c d e f g 加藤 2001, p. 250. ^ a b c 加藤 2001, pp. 243, 251. ^ a b c d e f 加藤 2001, p. 251. ^ a b NTSB 1990, p. 85. ^ 加藤 2001, pp. 243–245. ^ NTSB 1990, p. 15. ^ 加藤 2001, pp. 248, 251. ^ a b c 藤原 1996, p. 6. ^ a b c d e f g h i j k l m 加藤 2001, p. 260. ^ a b c d e f NTSB 1990, p. 72. ^ a b NTSB 1990, p. 73. ^ NTSB 1990, p. 102. ^ a b 加藤 2001, p. 252. ^ a b 加藤 2001, pp. 252–254. ^ a b 加藤 2001, p. 253. ^ 加藤 2001, pp. 254–255. ^ a b c 加藤 2001, p. 255. ^ 加藤 2001, pp. 255–257. ^ a b c 加藤 2001, p. 257. ^ a b c d NTSB 1990, pp. 71–72. ^ 加藤 2001, pp. 257–259. ^ a b c d e f g 加藤 2001, p. 259. ^ a b c 加藤 2001, p. 256. ^ NTSB 1990, pp. 15–19. ^ a b c d e NTSB 1990, p. 76. ^ a b c "No Left Turns", pp. 3–4. ^ a b c d e f "No Left Turns", p. 3. ^ フェイス 1998, p. 268. ^ NTSB 1990, p. 100. ^ a b McKinney et al. 2005, p. 212. ^ 桑野, 前田 & 塚原 2002, p. 198. ^ McKinney et al. 2005. ^ McKinney et al. 2005, pp. 200–201. ^ a b c 桑野, 前田 & 塚原 2002, pp. 198–208. ^ Haynes 1991, pp. 4–5. ^ 加藤 2001, pp. 261–262. ^ マクファーソン 1999, p. 322. ^ a b c d 加藤 2001, p. 262. ^ a b c d e Haynes 1991, p. 7. ^ 加藤, 2001 & pp. 229–230. ^ 加藤, 2001 & pp. 231–232. ^ 桑野, 前田 & 塚原 2002, pp. 194–195. 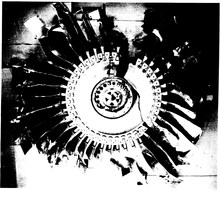 ^ NTSB 1990, p. 50. ^ NTSB 1990, pp. 49–52. ^ NTSB 1990, p. 51. ^ フェイス 1998, p. 190. ^ a b c d NTSB 1990, p. 40. ^ マクファーソン 1999, p. 365. ^ a b Olson 1989.